Topics: Water Leak, Water Leaks Repair, Pipe Repair, Slab Leak, Rusty Water, and Relining. 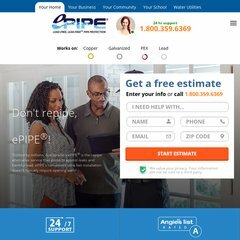 dfwpiperestoration.com Dallas Plumbers Carrollton - Fort Worth, Irving & Plano Plumbing ..
Its IP Number is 205.178.144.253. Its 2 nameservers are ns95.worldnic.com, and ns96.worldnic.com. Network Solutions Llc (Virginia, Herndon) is the location of the Apache/2 server. PING www. (205.178.144.253) 56(84) bytes of data. Pinging the server, resulted in a 32.3 ms response.